When history touches an individual’s life, the effects are rarely short-lived. In Lizhe “Lee” Sun’s case, being caught up in China’s anti-intellectual Cultural Revolution as a teenager propelled him to learn and achieve throughout his life. Nearing age 60, Lee continues to pursue those opportunities. 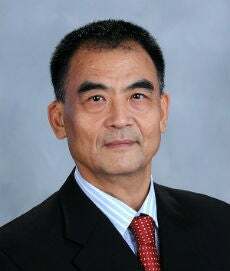 The Master of Science in Risk Management Program he earned from NYU Stern made five degrees he has collected since the master’s in surgery he was awarded in 1982 from Beijing’s Capital University of Medical Sciences. In between, he rolled up an MBA in international business from a China University of Economics and Business-University of Maryland program; an MS in a joint Harvard Medical School-MIT program; an MBA from MIT Sloan; and an LLM from the University of Chicago Law School. And that’s not counting the executive business programs he attended at Wharton, INSEAD, Kellogg, and Harvard. Today, Lee is a Beijing-based director of the board of Bank of Jilin, a Chinese commercial bank, as well as a member of its risk management committee and chairman of its strategy committee. His primary work involves designing, communicating, and monitoring the implementation of the bank’s preferred risk spectrum and product development programs. He also serves as an independent board member of a major Chinese pharmaceutical company, a technology company, and chairman of a publishing group.